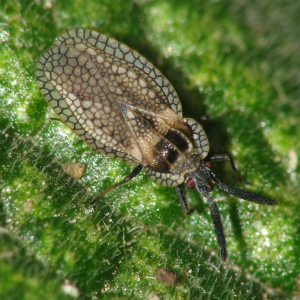 Observation - Gorse Lacebugs - UK and Ireland. Description: Tiny but beautiful bugs. Only about 4mm long. Usually found on Gorse as the name suggests, although occasionally also on Broom. Tiny but beautiful bugs. Only about 4mm long. Usually found on Gorse as the name suggests, although occasionally also on Broom.